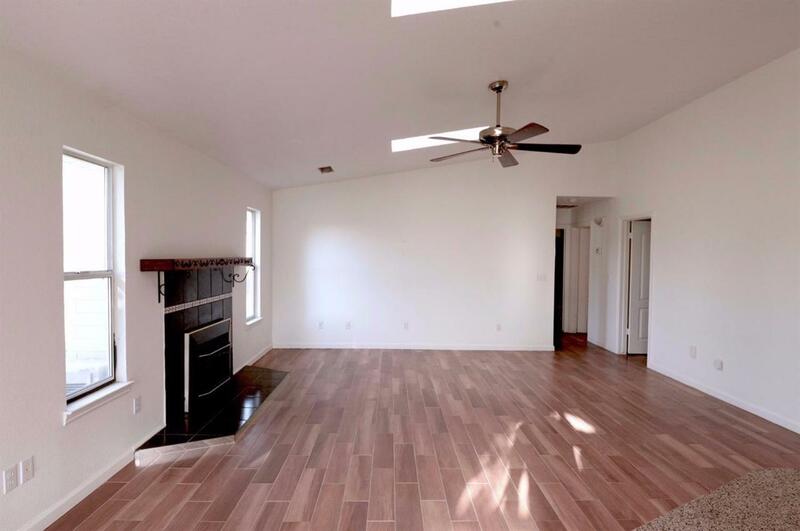 This 3 bedroom 2 bath Wonder Valley Ranch home is move in ready featuring granite kitchen counter tops with barstool seating, accent detailing cabinets, pot hanger. Enjoy the views while in front of the cozy fireplace in those cold nights. Comfortable bedroom sizes, updated flooring, vaulted ceiling with skylights. Lots of potentials outdoors with 1.11 acre of land over looking the rolling hills. Call now for a private showing!